This pasta salad is full of flavor, a crowd pleaser, and could not be easier to put together. Serve it at your next party or make a big batch and enjoy it all week! 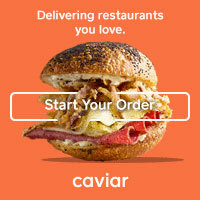 Pasta, quinoa, and farro salads are my go to recipes for easy lunches. I absolutely despise packing my lunch every night (I'm not totally sure why), but I also can't justify dropping $15/day to buy it somewhere either. So, recipes like these that are satisfying, refrigerate well, and are perfect for packing up and enjoying for lunch all week long. And especially during busy times at work or during my pregnancy when I've been especially tired in the evenings (and have opted for a couch nap over packing my lunch), a salad like this is key to keep me eating well at work. I also love a salad like this as an option for dinner on warmer nights-- make it meatless or add grilled chicken and it's a complete meal. 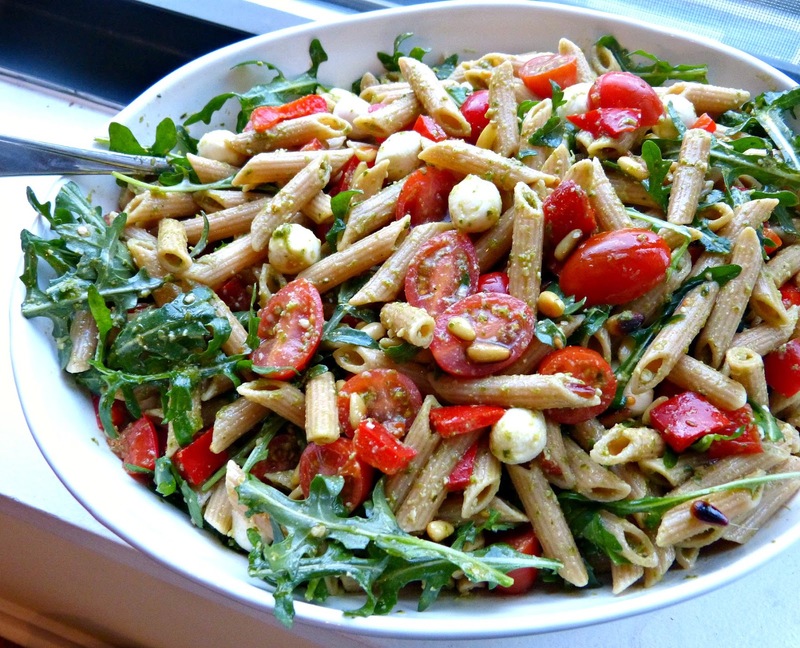 This pasta salad variation is one of my new favorites. And since it includes both pesto and toasted pine nuts (which my hubby is super allergic to), this pasta salad is all about me-- and my favorite flavors! It begins with a base of penne pasta-- and I use whole grain to up the healthy factor here-- and then I add tons of fresh tomatoes and peppery arugula. Roasted red peppers add a touch of sweetness (and I used the jarred kind to save prep time) and fresh mozzarella pearls, which are already perfectly bite sized and save even more prep time! It all comes together with a simple combination of prepared pesto and vinegar, which creates a delicious and tangy vinaigrette for the salad. A sprinkle of crunchy pine nuts finishes the whole thing off. In a large serving bowl, whisk pesto and vinegar together until fully incorporated. 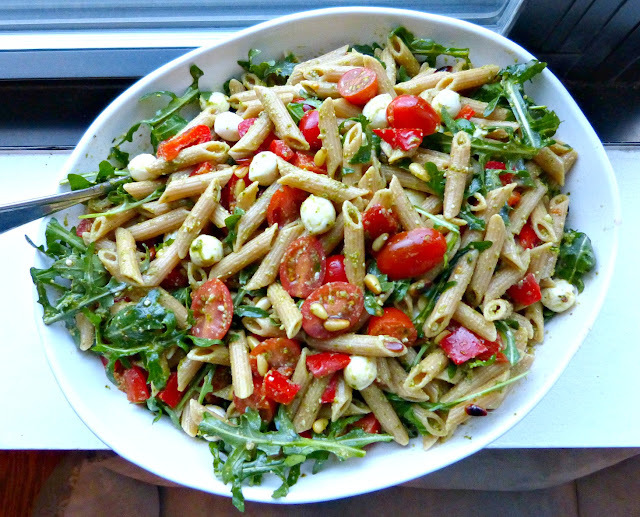 Add cooked pasta, arugula, tomatoes, peppers, and mozzarella to the bowl. Toss to combine. Top with pine nuts and serve chilled. This looks really tasty! I love whole wheat pasta--I even like it better than regular! I have to agree, Julie-- I think there are many recipes where the whole wheat variety actually tastes better!